In 1991 HRH The Duchess of Gloucester became the first member of the Royal Family to be admitted to the Freedom and Livery of the Company. Mrs. Mary Butcher MBE, a former Trade Advisor, was admitted as Honorary Liveryman in 1994. Past Prime Warden Olivia Elton Barratt and former Clerks Andrew Gillett and Roger de Pilkyngton are Honorary Liverymen. The Company has two Honorary Members, Raymond Porchet and Bunty Ball. 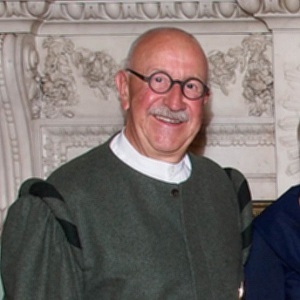 Raymond was Zunftmeister of the Letzi Guild of Zurich. He was responsible, with PPW Norman Woolley, for forging the strong links between the Company and the Letzi Guild. 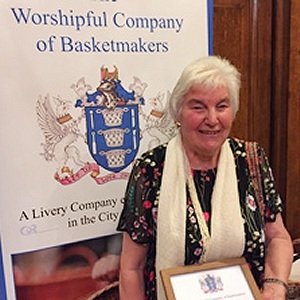 Bunty Ball was awarded her honorary membership in recognition of her outstanding contribution to the art and craft of basketmaking and her continued support for the trade over many years. In 1913 Professor Thomas Okey was admitted an Honorary Freeman in recognition of his outstanding services to the Company. For many years he practised as a journeyman basketmaker and was also an examiner in basketwork for the Department of Technology at the City and Guilds of London Institute. HM Queen Mary was admitted to the Honorary Freedom in 1937, as was HRH Princess Mary the Princess Royal in 1954.